2070 Timber Trail National City, MI. | MLS# 1848529 | Northern Michigan Real Estate | BEST CHOICE REALTY, INC. Piece of Heaven! 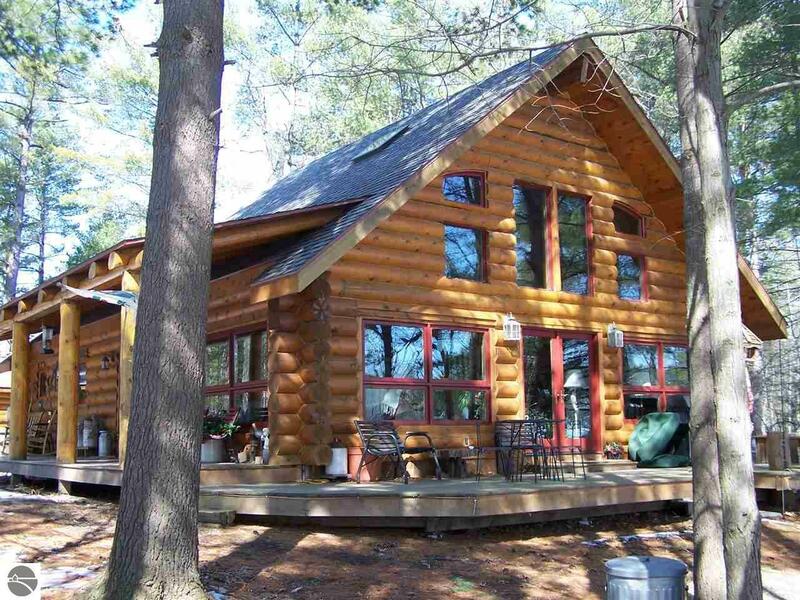 Full 12" log, 1 1/2 story log home on 3+ acre peninsula on Big Island Lake with 2000+ feet of waterfront! Built in 2000 with NG radiant floor heat, in home, and 4-car, log-sided garage. On-demand NG hot water heater. 8" styrofoam roof. Lowen low-E, triple-pane windows. Stone NG fireplace. 4'x7' kitchen island. Hickory cabinets. 2 out-buildings. Cantilevered dock, covered 8' x 46' porch and 12' x 36' deck all add to the enjoyment!